The splendor, harmony, and elegance of Roman architecture come to life with Brancacci Aria Ivory 3 in. x 3 in. 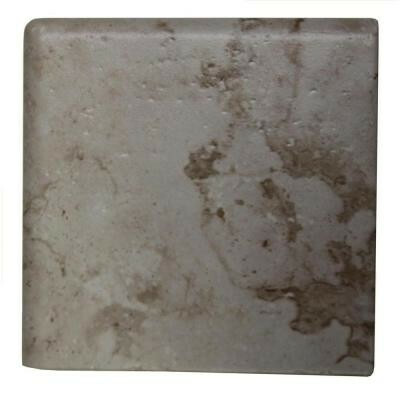 Bullnose Corner Ceramic Wall Trim Tile. Equally at home on both floors and walls, this breathtaking glazed tile captures the essence of classic Italian craftsmanship that has withstood the test of time. Brancaccis design flexibility allows you to easily coordinate with many decorative options including: glass, metal, and listello accents. With it's light texturing, rich veining and earthen tones, Brancacci helps bring classic Italian styling to any room. You can buy this product in our internet market. We will be glad if you make the right choice.